For several years BeApple is well known for their remarkable approach. From the very beginning these Dutch ‘Eindhoven four‘ knew they never wanted to be just another Beatles tribute band. It already brought the band some fantastic gigs around the globe. Something they did not have dared to dream about at the time. Cees van Rooden – drums and vocals. Thanks to the owner of the rehearsal studio, BeApple gets an early offer to become a main act. With only 15 songs only half finished BeApple’s first appearance is at the famous Muziekcafé in Helmond (NL) on March 16, 2007. BeApple’s interpretation of Fixing a Hole hits the mark, it highlights the start of what we now know as BeApple’s “The Beatles with a twist”. At the time this attracts the attention of English radio man Kieron Collins. In his ’5 o Clock Rock Show’ the song is played on a regular basis. In March 2008 BeApple is awarded the ‘Beatles Unlimited Golden Apple 2008′ for their reworking of ‘Fixing A Hole’. The jury praises BeApple’s original finale of the song, which means leaving the other four finalists behind. The encore Getting Better, is rewarded an ‘equally successful version’. Later on the highly acclaimed ‘Revolver Magazine’ (today ‘Revolver’s Lust For Life’) asks BeApple for a contribution to a special White Album 40th Anniversary compilation CD ‘Het Witte Album’. It’s clear this should be Mother Nature’s Son. BeApple reworks the song in less than a week. A challenging job, knowing it is a daring combination of the studio version with variations from unique existing Beatles demo’s, live (Paul McCartney) performances with accordion and close harmony singing in a King Singers style. In November 2008 BeApple records A Day In The Life with a large accordion orchestra with a large accordion orchestra. A homevideo of this exceptional experiment made by a fan is still to be found on Youtube. 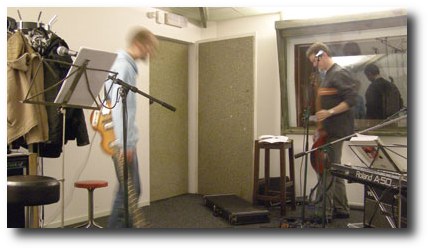 In January 2009 BeApple has their first gig abroad in Antwerp Belgium on the famous ‘Buster Cultural Platform’, well known for their artistic laboratories. Within a month after that 9 gigs in Liverpool are confirmed. In March 2009 BeApple also appears at the Lennon Memorial Event in Amsterdam Hilton, the conclusion of the legendary John and Yoko Bed-in for Peace memorial. During the 2009 Beatle Week from August 26 to the 1st of September BeApple attracts international attention. A request from Austria to play a gig directly after these nine ones has to be cancelled, it’s all too fast. In October a similar request follows from Argentina. An offer they can’t refuse. At the end of November all 4 gigs in Buenos Aires are sold out. BeApple enters a new phase in their short existence. What started in 2006 as a kind of experiment turns out to be a good guess. Half of their gigs nowadays are outside the Netherlands. BeApple plays their thirtieth show abroad in January 2012 in Tampere Finland. Today BeApple is acclaimed for their unique approach in the Beatles tribute scene. The ‘Eindhoven Four’ succeed to touch the atmosphere and the character of the original recordings in an unique personal way. BeApple’s “The Beatles with a twist” might be close to the sound of the fab four translated into the twenty-first century. In honor of the fiftieth anniversary of ‘Love Me Do’ in October 2012, BeApple reworks this first number one Beatles song for the Beatles Story Museum in Liverpool to proof this. BeApple’s name is a mix of the Fab Four’s name and the record label founded by them. The Beatles founded Apple Corps, with a green apple (Granny Smith) as their logo, in 1968. From 2009 BeApple is seriously followed by the BeApple People (‘Beeple Peeple’), the “authorised” fanclub. BeApple likes to thank all who support us. Wim @ Q-data, Bas @ BITS, Saskia @ FACQS, Jan and Sabine @ Rethinking Group, Richard @ Biemans Plant, Rob @ Workhouse, Mary-Ann @ Pepers Art and Design, Ross @ Revolver.